While Theresa May’s decision to announce a snap election may be politically expedient for her domestically, India has a growing stake in the political tremors around the world, writes India Inc. CEO Manoj Ladwa. 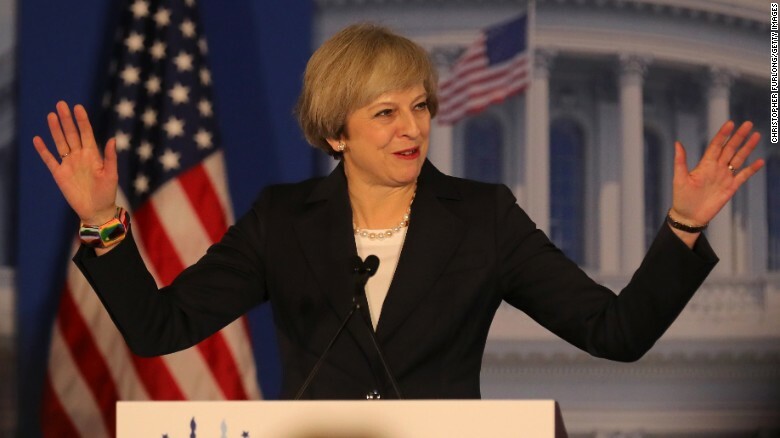 British Prime Minister Theresa May’s decision to announce a snap general election in the UK is politically expedient. And, who would blame her? She is 20 points ahead in the polls over the main Opposition Labour party, whose beleaguered leader Jeremy Corbyn seems to be marching his disgruntled troops into the political wilderness. By contrast, the Liberal Democrats, traditionally the “third party” of UK politics with their clear pro-Europe stance, may do exceptionally well this time round as they seek to rally the 49 per cent Remain voters, many of whom will vote tactically to make their Brexit point. May will, by all accounts, score a huge political victory domestically, but the cracks and divisions of the Brexit vote on the UK public and economy will still need to be healed. Any fault line is worrying. Even more so is the fact that we seem to be living in a world criss-crossed by such fissures, some overlapping and others not so. Any one of the them could set off tremors or even earthquakes of proportions unprecedented since the end of the Second World War. In Western Europe, that bastion of stability and shared prosperity for the last three quarters of a century has been rattled with the Brexit vote, which has opened a potentially vicious fissure that could destroy the very edifice on which much of European prosperity has been based in the latter half of the 20th century. Within the EU, you have nativist right-wing politicians in France and the Netherlands opening new fault lines over immigration and free trade, the two pillars on which the success of the continent rests. Across the Atlantic, the shock election of Donald Trump has upended many of the covenants that ensured unprecedented global prosperity and peace over the last seven decades. His domestic agenda has taken on a distinctly sinister anti-immigrant colour and his “America First” policy threatens to leave US allies in Asia and elsewhere pretty much on their own – and often at the mercy of an increasingly expansionist and aggressive China. The mess in the Middle East has been exacerbated by the proxy war being fought in Syria between Russia, which seems intent on regaining its Cold War status as a Superpower, and the US, which seems (at the last check!) hell bent on ensuring a regime change, regardless of whatever it takes. This situation is further complicated by other regional powers such as Saudi Arabia and Iran taking sides and waging their own battles within battles in the oil-rich region. And finally, there is the spectre of North Korea, backed by its patron, China, flexing its nuclear muscle and threatening the existence of South Korea and Japan, while the US wonders how to bring this rogue nation to heel. These are all very dangerous flashpoints. The slightest miscalculation by any of the dramatis personae or any misguided attempt to overplay one’s hand in any of the above theatres can spark off a global catastrophe that could have a domino effect and set off tremors along the other fault lines. In the midst of this mad, mad world, India is enjoying a splendid isolation. Its economy is rocking, it is experiencing a period of peace, prosperity and stability and it is in the happy position of being wooed by all the others who are playing poker all around. But India has a vital interest in each of the global conflicts that are playing out. It is, through Prime Minster Modi, also a voice that is treated with respect in almost all the relevant political capitals. But within the Indian establishment there is a realisation that to be taken seriously (beyond the now almost universal respect and even awe of Modi), it needs to quickly get to the magic 8 per cent growth levels and stay consistently on that trajectory. So, New Delhi can play a balancing act in all or most of these unfolding crises. The Modi government has shown gumption in tackling major international issues that were benignly ignored by his predecessors even when vital Indian interests were involved. His government could now deepen its global political and humanitarian (as opposed to military) interventions even as he keeps a tight vigil on the ball – which is rapid and deep domestic reforms to transform the Indian economy.